Staying in your office for long hours can be dreadful and suffocating. We all need a breath of fresh air. But, it may be a struggle to relax in an enclosed office space. Good thing that keeping an office plant can brighten a dull atmosphere. Office plants can also remove toxins incurred inside an indoor environment. Research shows that having plants inside the office consequently results to the person’s increased productivity, creativity, and engagement at work. Other ways to achieve these workplace goals are by sitting on a good office chair and using a planner or a personal organizer. 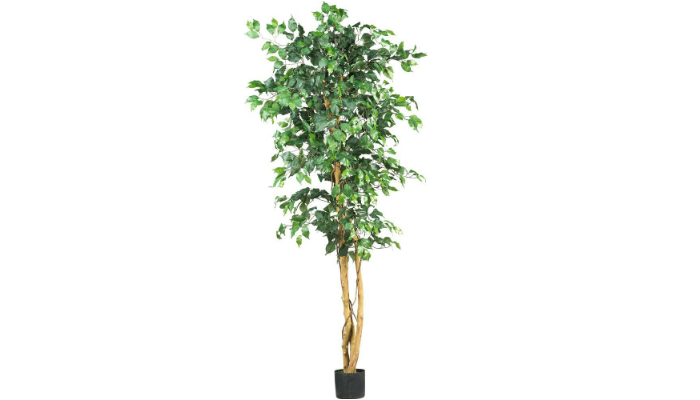 After careful research and product testing, we are giving the best office plant in today’s market while considering authenticity, convenience, and affordability. Brussel’s Bonsai Money Tree has beautiful trunks that are approximately 13 inches tall and uniquely braided together. It is authentic because it is imported all the way from Southern China. It is a four-year-old plant that you can proudly show off to your officemates. Nearly Natural 5209 6-Feet Green Ficus Silk Tree has more than 1,000 leaves to effectively decorate the whole product. It does not need water and maintenance at all. It is interestingly a semi-artificial office plant that is adorned by unnatural leaves but has genuine trunks. This office tree focuses more on keeping the interior attractive and lively. It comes with its own nursery pot that sustains the trunks. 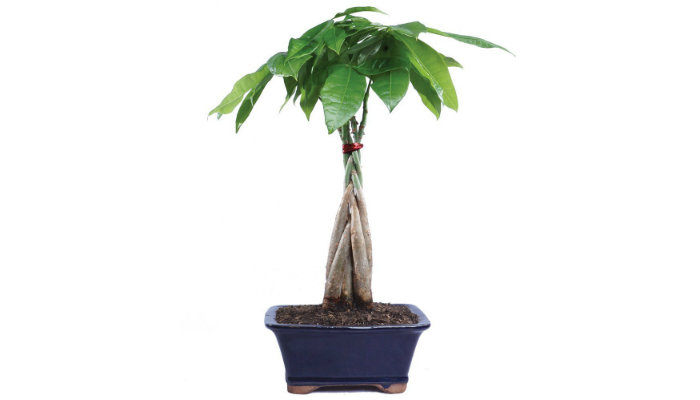 You can definitely purchase a more beautiful pot to enhance the look of this office plant. 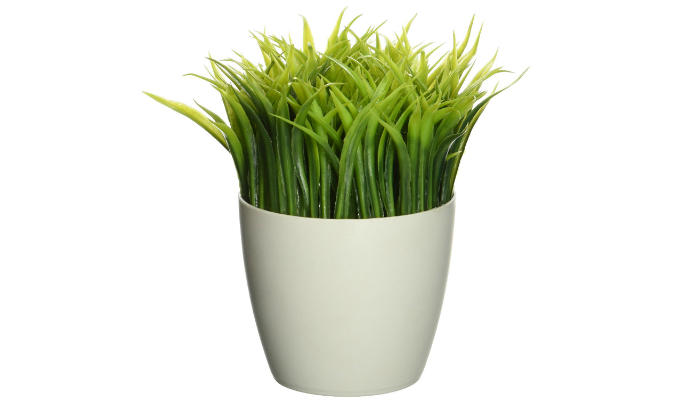 Velener Mini Plastic Fake Green Grass of Plants with Pots live up to the hype of keeping artificial office plants to keep the employee’s area neat and unappealing for insects. Despite being composed of plastic leaves and flowers, these office plants are unbelievably lifelike to brighten up any interior even in your home. They can also be placed outside for a livelier porch or backyard. Their pulp pots contain gray paper which is a great contrast to the vividly colored plants. 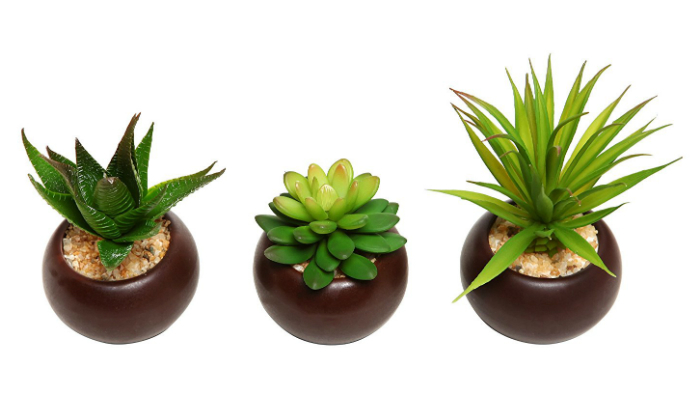 MyGift Set of 3 Potted Artificial Mini Succulent Plants have a delightfully small size so they will not crowd your office desk. They look so natural even though they are artificial. They are composed of porcelain and PVC. Their ceramic pots have a dark brown color to match with all types of decorations. 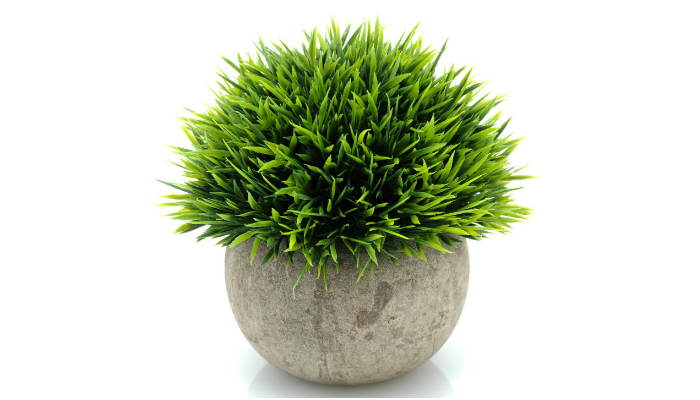 Kikkerland SC24 Potted Pen Stand is adorned with artificial grass, making it an ideal accessory on your desk. Its unique feature is that it can hold your notes, pencils, pens, and other writing materials. Genuine office plants cannot do that, obviously. Orchid Gene Maintenance Free B52 Mericlone Venus Fly Trap looks so unique and magical because it is placed in a hypnotic blue medium. 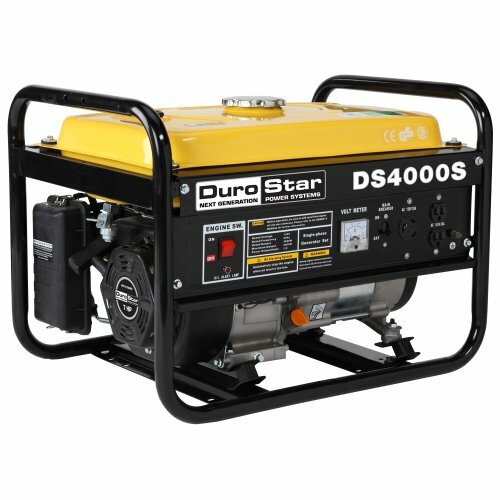 Even though it is elegantly genuine, taking care of it is effortless due to its zero maintenance and self-sustaining features. To be more specific, its environment inside the high-quality glass bottle is carefully designed. 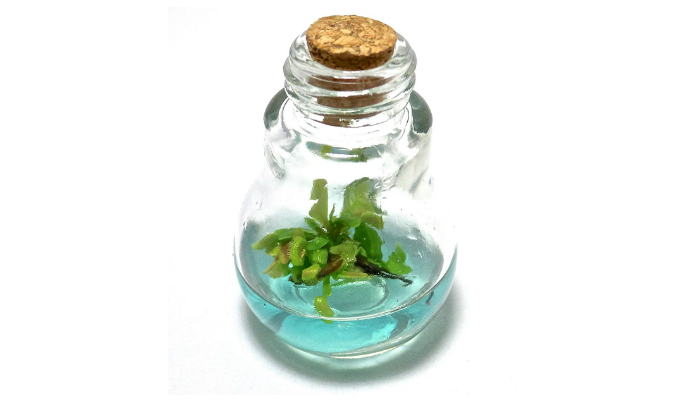 The blue nutrient medium is non-toxic and cleverly made of gel to keep the Venus fly trap alive up to one year. It can also be the perfect green addition to apartments and dorm rooms. For more options, if you want to have plants inside your home, check out our take on the best indoor plants. Some plants are simply not suitable for an office environment. No wonder a lot of employees are resorting to artificial or semi-artificial plants. 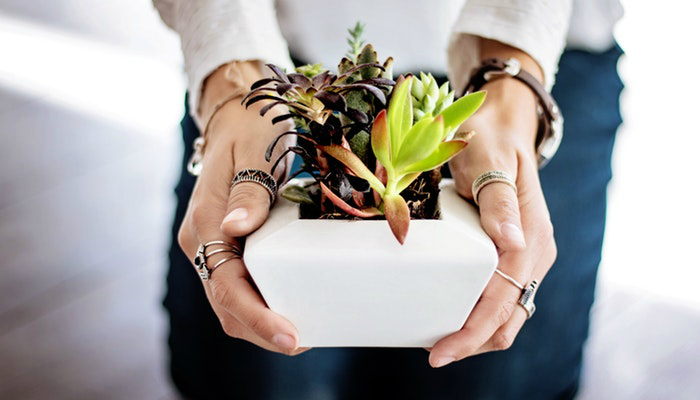 Finding a genuine plant that will not wither in your office space is tricky. 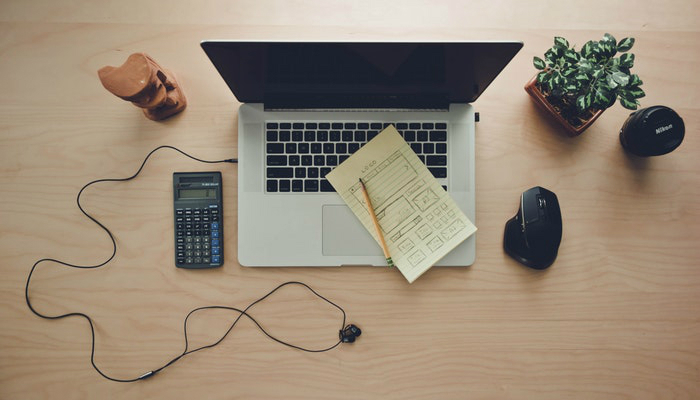 Fortunately, here are some tips for you to find that best office plant that will not die on you despite being 100 percent natural. Before purchasing an office plant, make sure that your space has a suitable spot, preferably with direct sunlight. If your desk gets sunlight throughout the day, then it is best to select office plants that can withstand scorching and dry environments. A good suggestion for this situation is buying cacti and/or succulents. Meanwhile, if the humidity is not too low in your office, a ponytail palm or bird of paradise plant is a good choice. If your office is freezing cold due to air-conditioning, ferns, pothos, and aglaonemas are highly recommended for this type of environment. Just like the rest of us, plants need space. We all need space to breathe, right? Make sure that your own office area has a certain amount of space for a plant to let it breathe. Do not squeeze your office plant in-between furniture and/or equipment. Plants really need their own area to grow. 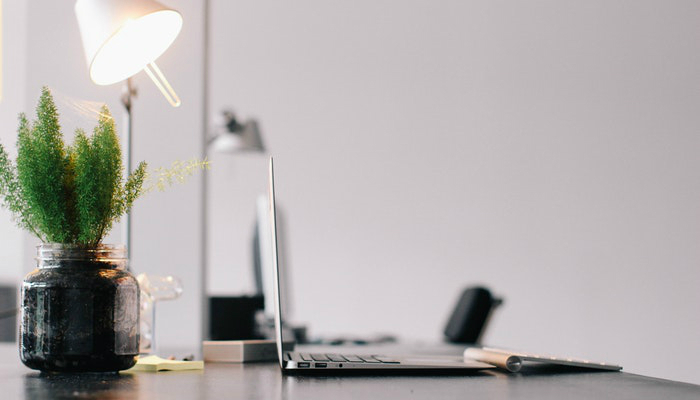 The best placements for an office plant are near the hallways and on top of your desk. With the first two factors in choosing an office plant finally in our minds, we can now proceed to what size your office plant should be. If you are planning to put your office plant on the floor, then it should be big and tall. On the other hand, if you want to put it on a desk or window, then it has to be shorter. Some office plants require more maintenance than others. Hence, you have to be honest with yourself right now: are you willing to take good care of an office plant and give all the love that it needs? 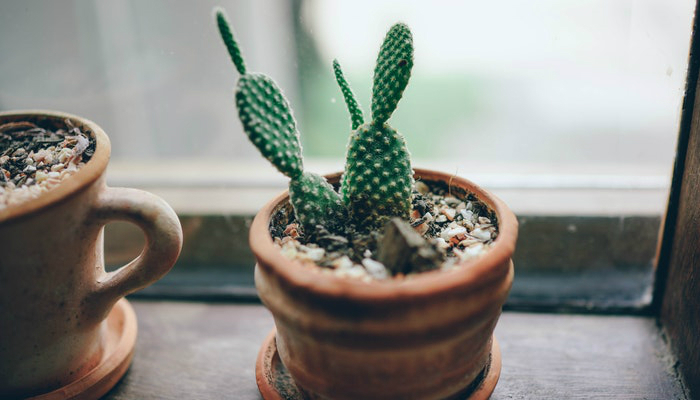 If the answer is no, then cacti and succulents are good choices for you. These office plants are low-maintenance and look pleasing to the eyes. They do not take up too much space. We selected Brussel’s Bonsai Money Tree as our top product because it is beautiful, unique, and more importantly – genuine. Artificial office plants are too convenient to own and have vivid colors that last a long time. However, natural plants are still more superior since they actually improve the air you breathe inside an enclosed space. 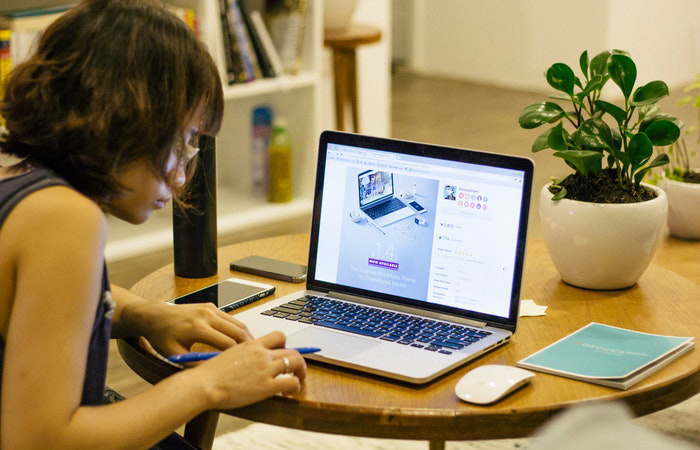 In choosing the best office plant that is genuine and fits your workplace life, you have to consider your area by thinking about its size and lighting. You should also regard the plant’s size and even your personality so you will avoid destroying a living thing. If you want to push your green thumb to the limit, then you might want to know how to grow a weed plant at home or in your closet. Just make sure that it is legal in your area. Meanwhile, for more knowledge about office tools, find out the best paper shredders available in stores.